Life can be stressful for Nate Wright. At school, Mrs. Godfrey makes every day a nightmare. At home, he's stuck between Ellen, his incredibly annoying older sister, and Dad, perhaps the most clueless parent of all time. And don't get him started on Gina, the ultimate teacher's pet, or Artur, the unassuming exchange student who bests him at every turn. 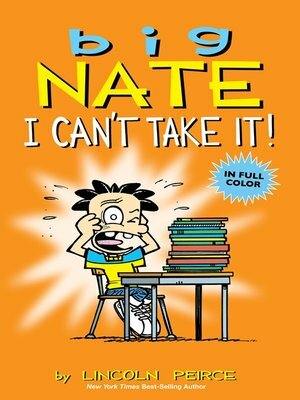 It's enough to make even a can-do kid like Nate scream: "I CAN'T TAKE IT!"